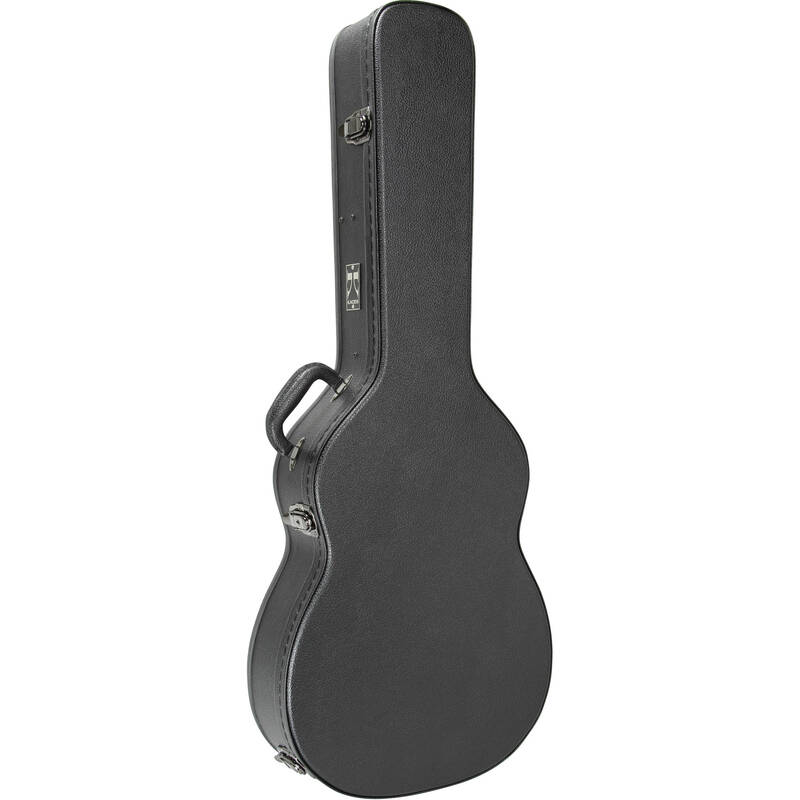 Featuring 5-ply wood construction and a durable PVC covering, this Hardshell Case for a Classical Guitar from Kaces is designed to house and protect your instrument. 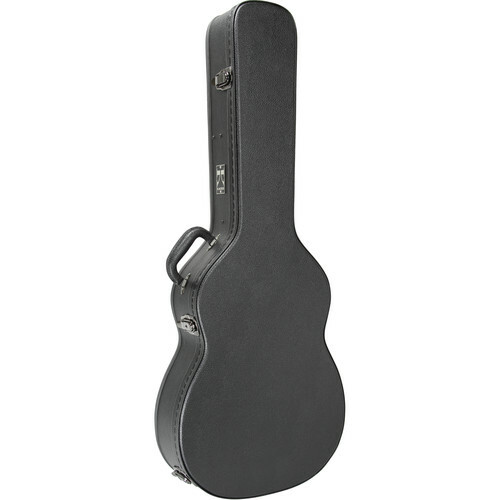 The interior of the case is padded and features a neck block to secure the instrument. An interior storage compartment can hold essential accessories. Locking latches, hinges, and feet secure the case, and a handle allows you to transport it. Box Dimensions (LxWxH) 42.0 x 17.0 x 6.0"